JOLIET TOWNSHIP, Ill. (WLS) -- The Department of Children and Family services has released documents on the death of a 17-month-old Joliet Township girl. 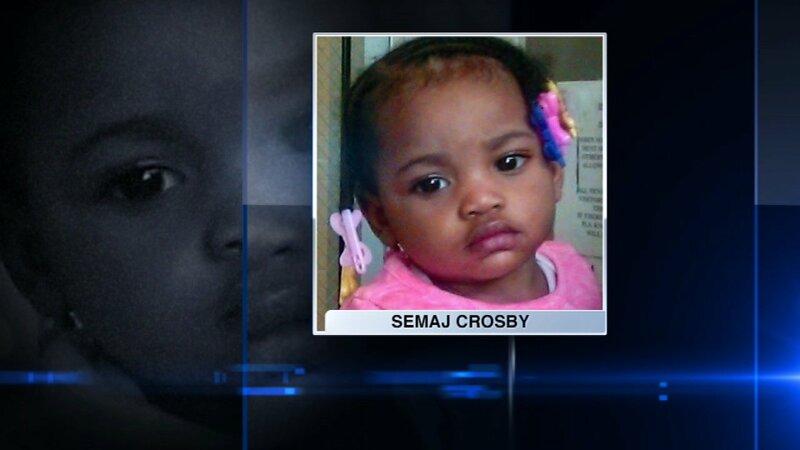 The released documents detail prior contact it had with Semaj Crosby's family and others who lived with her. Crosby was found dead in the family home under a couch after the family reported her missing. The 22-page report released Friday afternoon details who was in the house at the time. It indicates that there were allegations of child neglect and abuse against several adults who lived in the home with Crosby. There were also complaints filed by neighbors. DCFS had previously said it had prior contact with the family before Crosby's death. State Senator Pat McGuire released a statement Friday saying, "DCFS's first step was to promise a review of its involvement with Sema'j Crosby's family. Today's release of that review is the second step. I pray the review tells us what specific steps now need to be taken to strengthen families and protect young lives."